Today it’s time for the 21st installment of Conner’s Closet!!! WOW! NUMBER 21! I can hardly believe it! I’m just so thankful that when I had this idea a couple of years ago that Conner was excited about the idea too and more than happy to come play dress up over here once a month. 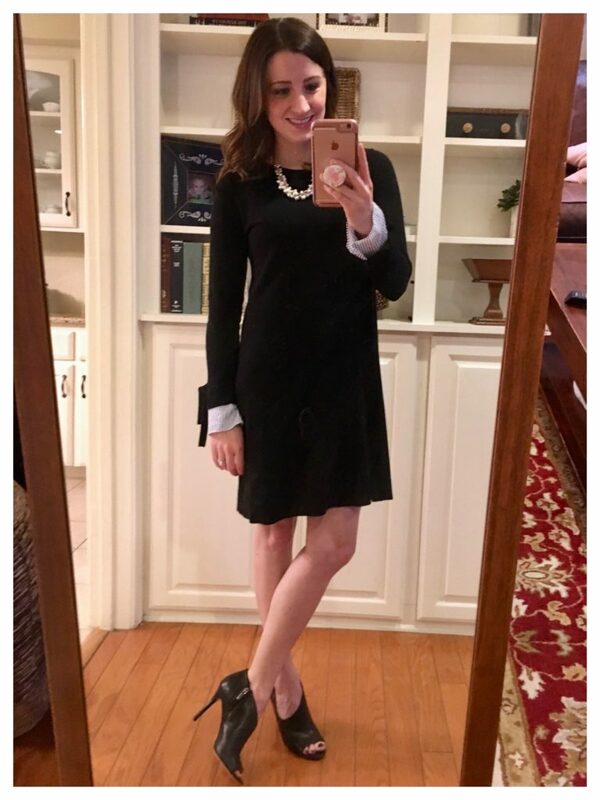 I know that there are so many ladies that very much appreciate the time and effort that she puts into these posts, and I’m so happy to share her office style with all of you. I should also let you know that today’s post was originally scheduled for January, but Conner was sick for a bit and then went out of town all right before the original post was scheduled. Because of this and other posts that I already had scheduled on the blog, it was delayed several weeks. I’m telling you that because one of the items in today’s post has low stock. I love this outfit! I don’t know how many pairs of Marisa pants I have…but trust me, I can never have enough. (If you have a curvy figure, you might like the Julie pants better.) These pants fit great and are super slimming! The check is blue, white, and black – so it looks super cute paired with white or black. 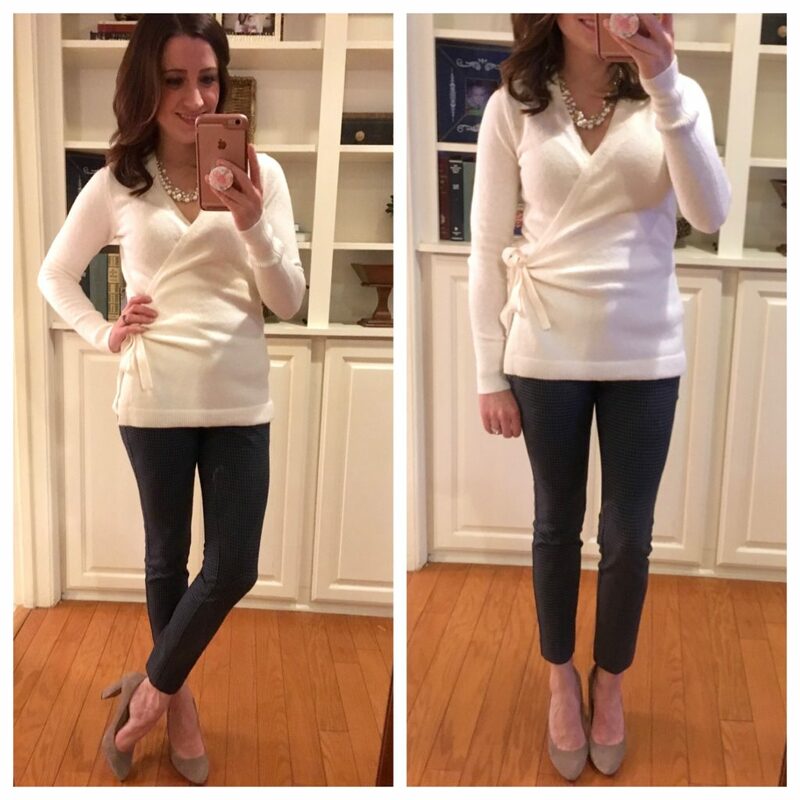 For this post, I decided to wear it with this adorable side tie wrap sweater. You guys – this sweater is awesome! It is so cozy and flattering, and it comes in a dark navy too. The side tie creates a bit of a waist and it has a deep v-neck, so you may need to wear a tank or cami underneath. It is a thick knit so it will keep you warm especially if your office is FREEZING like mine. And how perfect is this with pearlized dangle necklace? I LOVE THIS NECKLACE. I’ve worn it at least 6 times since I got it and have received SO many compliments. It’s a staple in any jewelry collection and I highly recommend it! The pants (00 petite) and top (XXS) both fit true to size. I will wash both and lay them flat to dry. Conner, this outfit is PRECIOUS. I think the sweater is great dressed up with these work pants, but it would also look great with jeans! THE SWEATER AND THE NECKLACE ARE BOTH 40% OFF! How chic is this outfit?!? 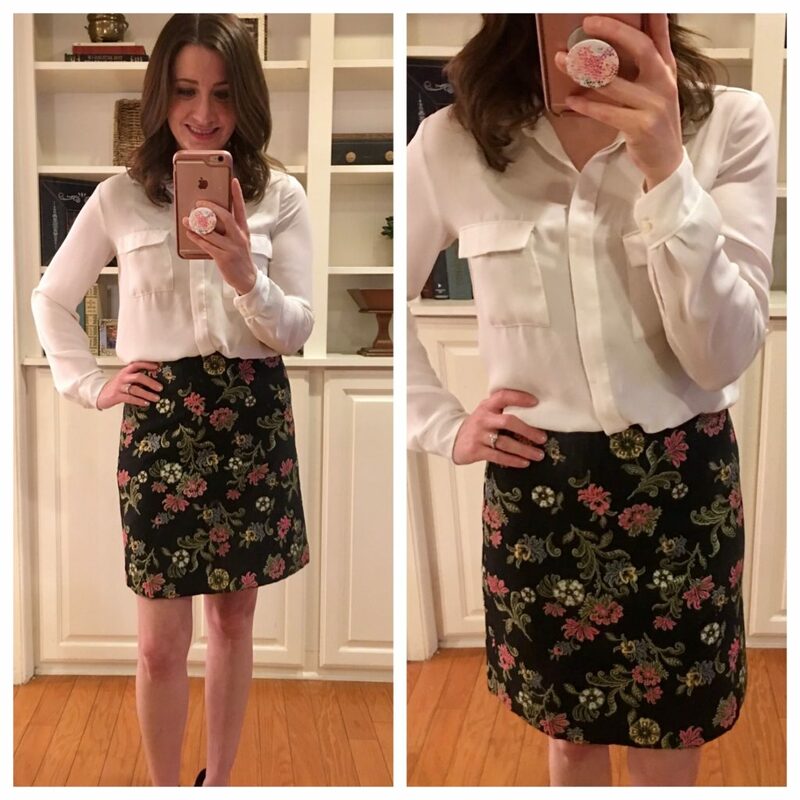 This floral blouse is polished and I absolutely love the tie waist, but it’s super cute without the tie, too! The blouse has a ballet neck with button cuffs (I LOVE me some button cuffs J). I love that the material isn’t sheer, so you don’t have to wear a cami. The skinny Marisa pants are my absolute favorite. They are super flattering and fit perfectly! They are so slimming and the perfect length. Plus, there’s a little bit a stretch which makes them comfortable. And again…I’m wearing the pearlized dangle necklace. Go ahead and add it to your cart. I promise, you’ll regret it if you don’t! 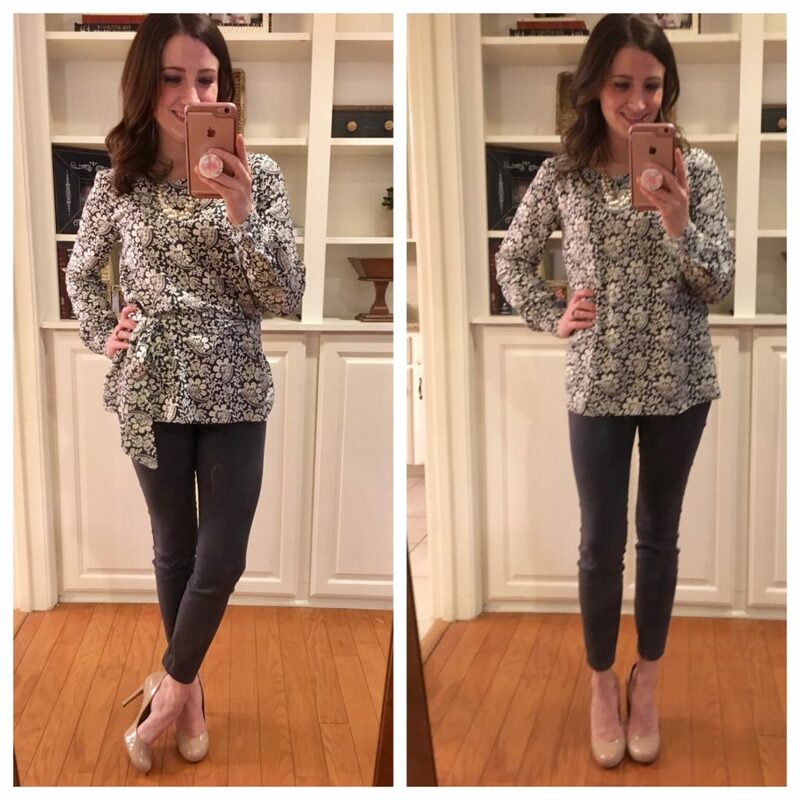 The blouse (XXS) and the pants (00 petite) are true to size. I will wash both and lay them flat to dry. Whatever you do…do NOT dry this blouse. It will shrink. And then you will cry. This blouse!!! 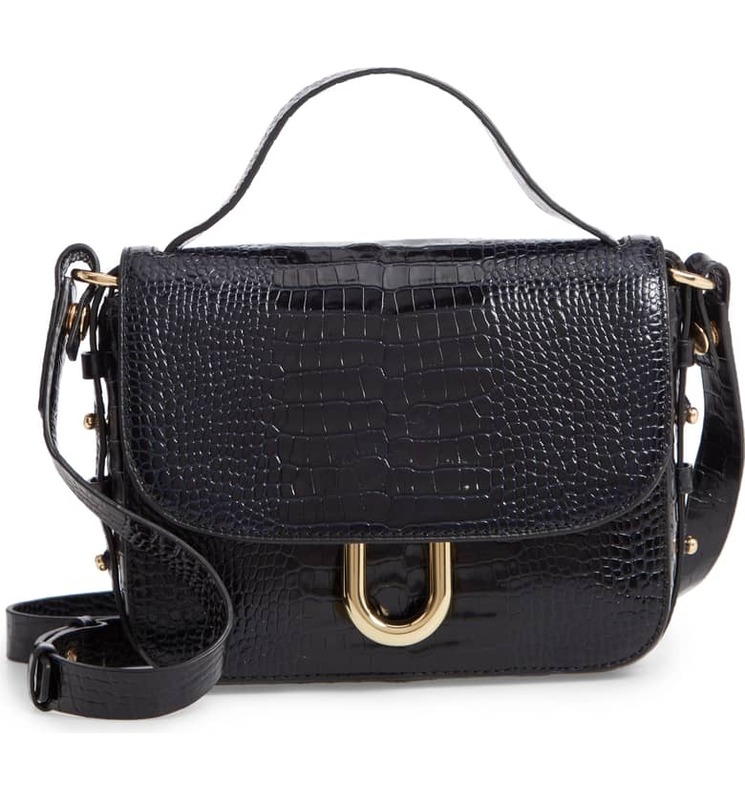 Conner, you’re right, it’s totally chic. 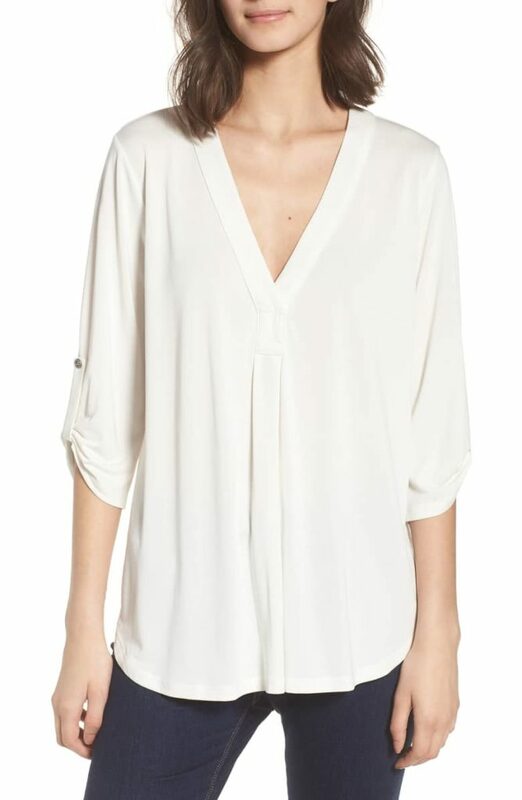 THE BLOUSE AND THE NECKLACE ARE BOTH 40% OFF! This outfit just screams SPRING! This shift skirt is unique and I received so many compliments when I wore it to work. The detailing makes it look very expensive. The colors are vibrant and really stand out. 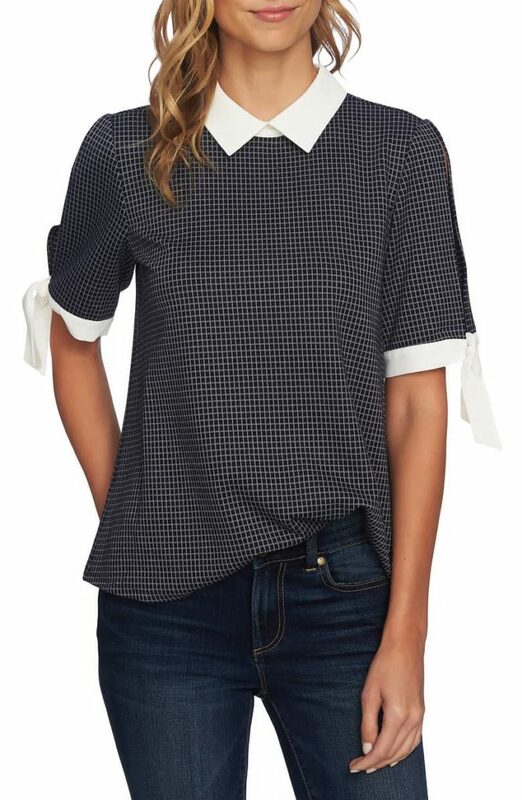 The top I originally ordered to wear with it didn’t work out – I was so disappointed, but I highly recommend wearing it with this piped collar split neck blouse. There’s a little bit of white woven in the skirt, and wearing it with a white top really makes it stand out. It’s gorgeous! The top (XXS) and skirt (00 petite) are both true to size. I will definitely hand wash or take this skirt to the dry cleaners. I love a shift skirt and think they are great on so many different body types. And the floral jacquard makes this one special! You guys…I really hope The Loft decides to restock this dress. IT. IS. FABULOUS. It is so classic and fits incredibly well. I’ve never been so comfortable in a sweater dress. The dress is black, but I love the blue and white stripe cuffs. It’s so comfortable and professional! Gives me all the feels! If you wear it with tights, there’s no need to wear a slip, but if you don’t wear it with tights, I definitely recommend wearing a slip (or a half-slip). I am always a little skeptical of shift dresses, but this dress fits like a glove! As you can see, I’m wearing the pearlized dangle necklace..again. 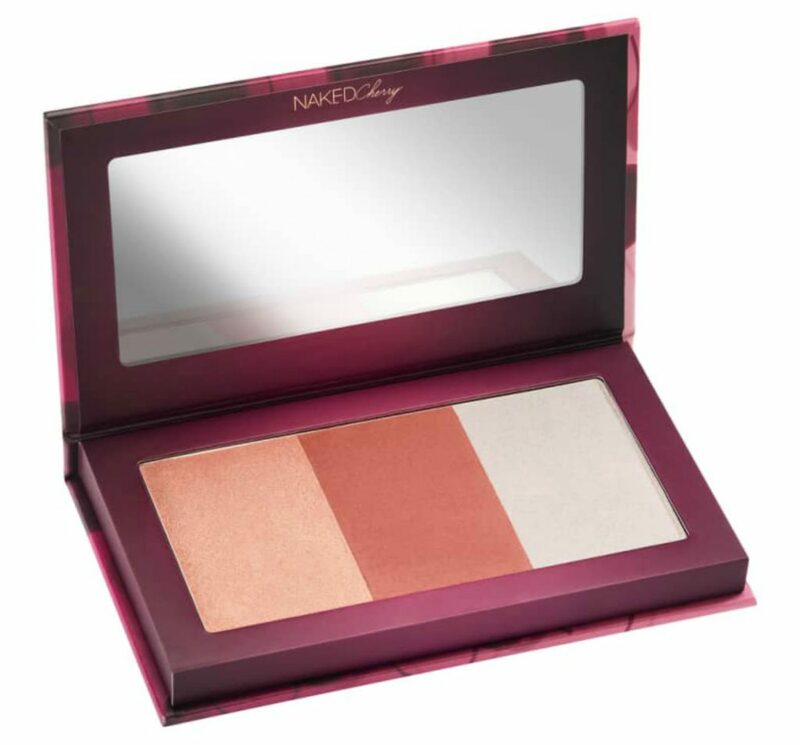 Just add it to your cart already! The dress is true to size (XXS) and I will wash it and hang it to dry. The Vince Camuto Careeta pump I’m wearing is sold out, but I highly recommend wearing it with a similar shoe – the Cholia Vince Camuto Bootie! CONNER! I am DYING over this dress!!!! COME ON, LOFT! RESTOCK THIS BABY! THANK YOU CONNER FOR MORE GREAT WORK WEAR INSPIRATION! All 4 of today’s outfits are DARLING and SO ARE YOU! 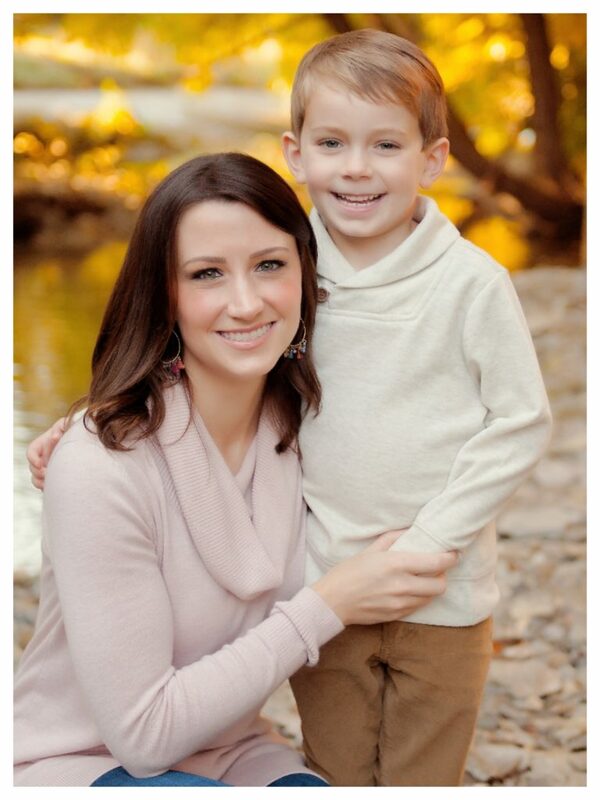 I think my favorite is the side tie sweater with those cute little checked pants. 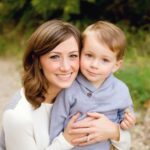 I know there are lots of working women out there who appreciate these posts so much! Love you, sister! Okay, a couple more things before you go! 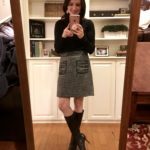 I’ve found some work wear pieces that are ON SALE! And since this post was predominantly LOFT, here are some things I picked up last night. I think all are perfect for transitioning to Spring. 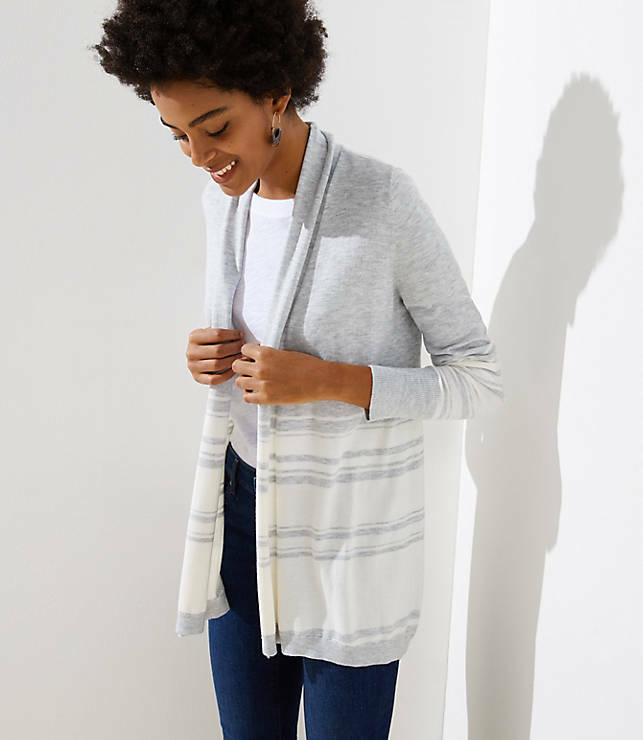 striped soft open cardigan – 40% OFF! striped relaxed v neck cardigan – 40% OFF! 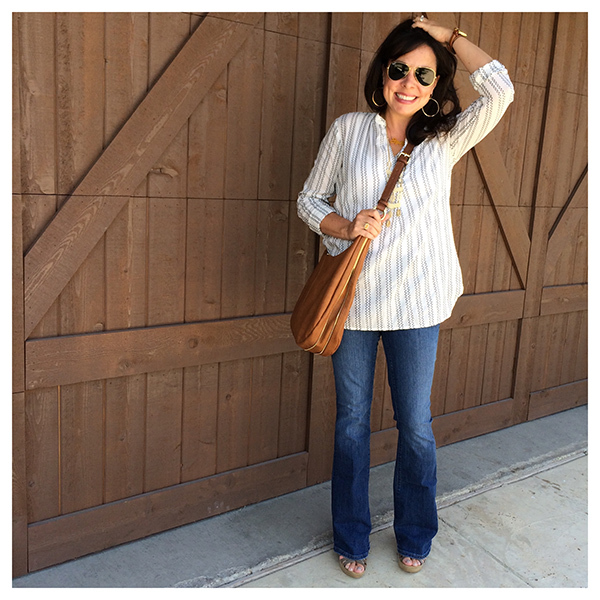 eyelet hem sweatshirt – 40% OFF! 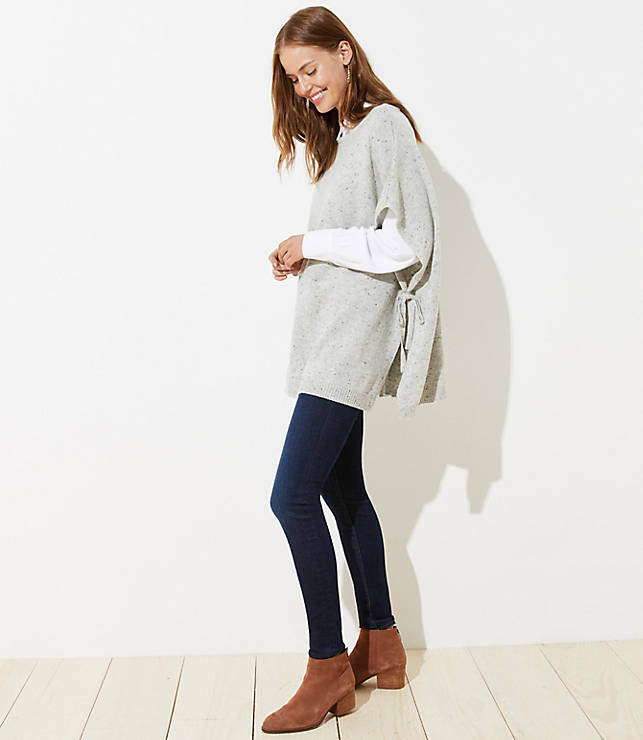 flecked side tie poncho– 30% OFF! I LOVE the dress!!! So CUTE!! I want to be Conner when I grow up. She is just too cute!! That first outfit is the cutest ever! Oh my stars, so darling! Conner always finds the best work wear! Hi! 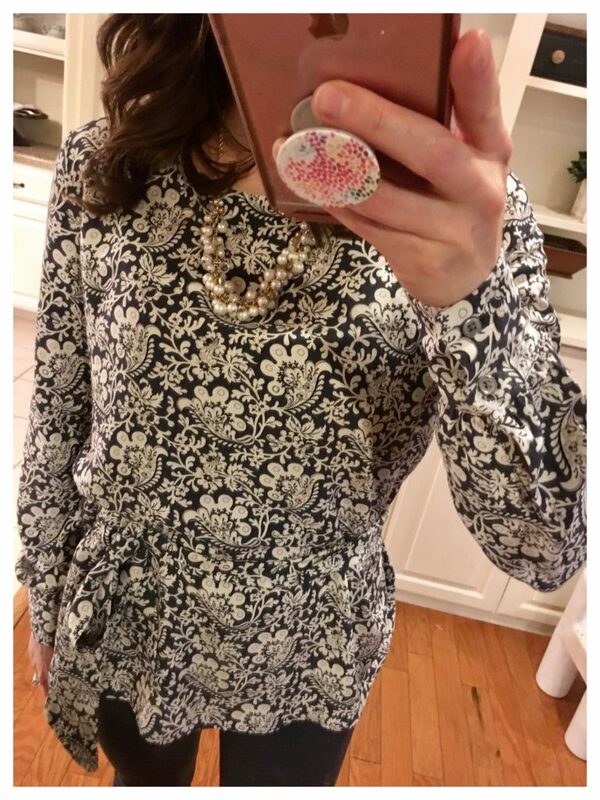 I love all your posts, but I was excited to see you shared the floral tie waist blouse that I already purchased right after Christmas! I wore it to church yesterday and it pairs beautifully with my Sims Stone ivory necklace. I am only able to buy a few things you recommend each year, but I absolutely love the purchase I do make with no regrets. Thanks for sharing suggestions with us all! And, I’ve been a long time bachelor watcher, and I also love those recaps :). These are my favorite posts! Thank you! Ahhhh loooove Connor posts because I love her style and yours of course and I live at work in LOFT clothes lol. Thank youuuuu both <3 🙂 Ps I love the updated pic of Mom & son…so adorbs!